WPP's Kantar is launching an on-demand research and insights store called Kantar Marketplace, providing access to the company's portfolio of quick turnaround solutions. Launching in March, the Marketplace will combine validated sample reaching 80 million consumers worldwide with DIY custom surveys, insights solutions and expert consulting. According to the firm, the launch will allow larger, established clients to choose from a range of automated offerings, from self-service to deeper diagnostic full-service tools, and enable new types of clients to access solutions in a cost effective way. 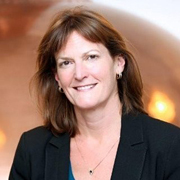 Julie Kollman (pictured), Chief Research Officer, comments: 'Kantar Marketplace will bring the most comprehensive consumer insights together in one place and allow us to deliver fast and accurate research at a fraction of the usual time and cost. The scale of our permissioned panels worldwide ensures that, post-GDPR implementation, the voice of the customer can remain central to decision-making'.